This Shabbat, we celebrate the last of four consecutive weeks of Bat Mitzvah celebrations. This means we will have a different schedule of services Shabbat morning. For more information and to read a letter from Rabbi Herzfeld and Maharat Friedman, please click here. Mazel tov to Zoe Kaiser-Blueth on her bat mitzvah! We welcome her family and friends joining us to celebrate this Shabbat. This week's Kiddush Luncheon is sponsored by the Kaiser-Blueth family in Zoe's honor. This Shabbat afternoon, we are honored to welcome Justin Kenny, Emmy and Peabody Award-winning journalist and director of the upcoming documentary The Boy from Serniki, as a guest speaker. During Seudah Shlishit (follows 4:45pm Mincha), he will discuss his two-year, 75,000 mile journey to document a 1942 mass killing in a Ukrainian village and the extraordinary but unsuccessful efforts to bring justice to its victims. Women's Tefillah: We are pleased to present a calendar of upcoming Women's Tefillah gatherings here. Additionally, we are updating our database of skilled leiners and daveners. Please add your davening and/or leining skills to this document. If you wish to be added to the Women's Tefillah e-mail list please contact info@ostns.org so we may update your account. Help Sponsor Kiddush & Dessert for Anna Yuter's 106th Birthday: On Shabbat, February 2, we will join together as a community to celebrate Anna's 106th Birthday. Please join us in honoring Anna's milestone by co-sponsoring kiddush/dessert. Suggested donation of $120 (ad me'ah v'esrim) but any donation of any amount is appreciated. Please make your donation by Monday, January 28 at ostns.org/donate (include Anna's Birthday Kiddush in the notes) or by calling the front office. This Shabbos, the parsha includes the giving of the Ten Commandments (Aseres Hadibros) to Moshe and to the People of Israel. The name of the parsha is Yisro, who was the non-Jewish father-in-law of Moshe. So, the Dibros are central to all nations and peoples in the world. The term "Commandments" is Rabbinical; in the Torah, they are referred to as "Aseres HaDvorim," the "Ten Words." (Dvorim, 4:13) The Rabbinic terminology reflects our understanding of the importance and mandatory nature of the rules given on Mount Sinai. A number of different approaches have been offered as to how to divide the verses of the text in order to achieve the desired number of TEN Commandments. The traditional rabbinical view is the following: "I am the Lord thy God" is the First Commandment; "Thou shall have no other gods before me" is the Second Commandment; and the Third Commandment, "Thou shall not take the name of the Lord in vain." The Commandments are repeated in the Book of Dvorim, which recounts the events during the Israelites’ travels through the desert. (Chapter 4). However, there are some differences in wording, which the rabbis seek to explain. 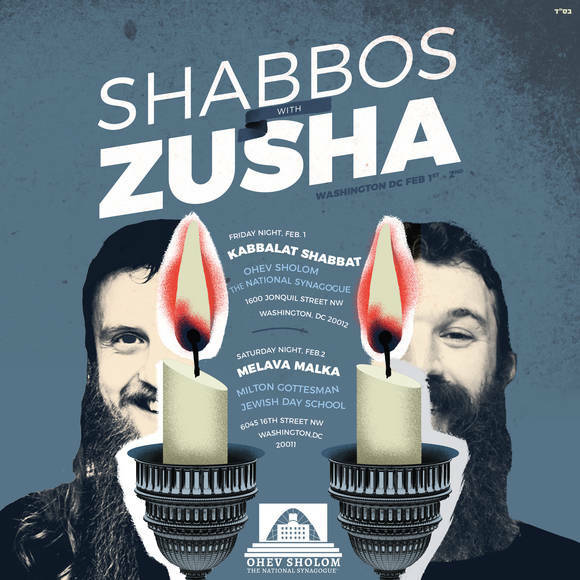 One of the most well-known is the different term used to describe the obligation of Shabbos. In Shmos, the word is "Zachor:” “Remember the Sabbath to keep it holy.” In Dvorim, the word is "Shamor:” "Observe" the Sabbath.” The well-known Rabbinical explanation is that the two terms were expressed by God "b'dibur echad", simultaneously, which could be done only by God. This idea appears poetically in the "Lecha Dodi" poem which is part of the Friday evening prayers: "'Shamor' ve'Zachor' b'dibur echad, hishmi’onu El hamiyuchad." God taught us the two words, the two ideas, at the very same time. "Shamor", to observe its prohibitions; "Zachor," to "remember" the holiness of the Day. In the Kiddush over wine on Shabbos morning, we say "Zachor," Remember the Sabbath Day to keep it holy." As the Rabbis say, "Remember it through the blessing on the wine." The Commandment in Shmos states that one should honor one's "father and mother." Elsewhere in the Torah, it states: "A person, his mother and his father he should fear." (Vayikra, 19:3) The rabbis explain that the natural tendency would be for a person to honor a mother more, so Shmos places the father first. On the other hand, one fears a father more, so in Vayikra, the emphasis is placed on the mother. Much is made in the Torah of the fact that the Commandments were on tablets made of stone. For example, the word specifying that make-up of the tablets (avanim) appears in Devarim (4:13 and 9:9 and 10:1). In the Sabbath Amidah, we say, "Ooshnei luchot avanim horid b’yado." Moses “brought down two stone tablets in his hand” to the Jewish people. What's the importance of stone? Rabbi Yaakov Zvi Mecklenberg, in his commentary on the Siddur, explains that a stone comprises grains of sand; the separate grains of sand achieve solidity when they are combined into a stone. So the individual laws of the Torah are combined and achieve solidity in the Aseres Hadibros. The Haftorah, from the Book of Isaiah (beginning at 6:1 and including parts of chaps.7 and 9) is the personal vision of the prophet. He beholds the Lord seated on His throne and the attending angels say, "Holy, holy, holy (Kadosh, Kadosh, Kadosh), the Lord of Hosts, His presence fills all the earth." These words, of course, have become a central part of the prayer service.